Transfers to generator power automatically when energized after a 30-second delay. Includes mechanical interlocking contractors and time delay at power up. 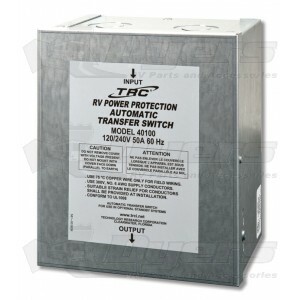 This model is a basic automatic transfer switch. It is generator dominant and transfers to generator power automatically when energized after 30 second delay. Once the generator is shut down, shore power activates after a 3-4 second delay.